It's the Donald Duck Shrimp, also known as the Plume Shrimp, the Long-nose Shrimp and a host of other names, many of which are like an innocent child in a supermarket loudly asking mummy, why does that man have such a big, hairy nose? The truth is, I have absolutely no idea why this shrimp has such a big, hairy nose. Or rostrum, to be more precise. Mr. plumosus here was discovered as recently as 1994 and it looks like very little is known about it. We do at least know that it reaches about 3 cm (scarcely more than an inch) long and comes from the Indo-Pacific, where it glories in colours far more vibrant than the drab camouflage of its closest kin. 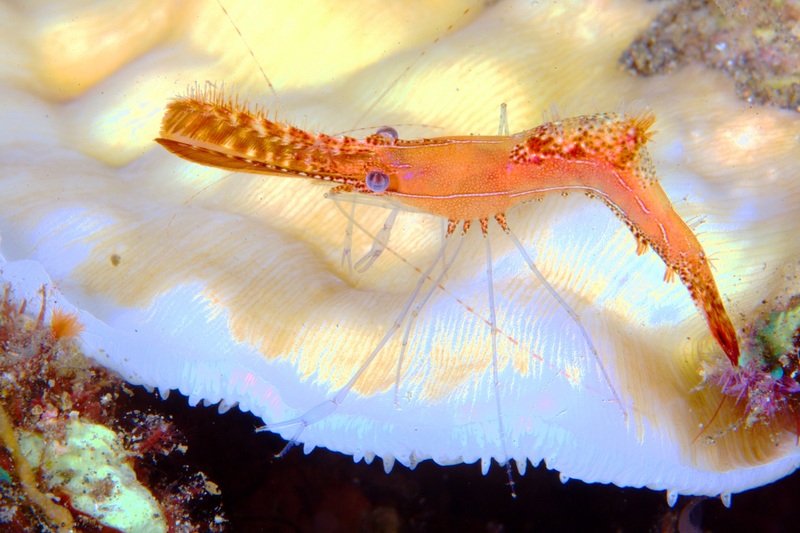 The Donald Duck Shrimp belongs to a family called Palaemonidae, within a subfamily that mostly contains carnivores who prey on various tiny creatures. 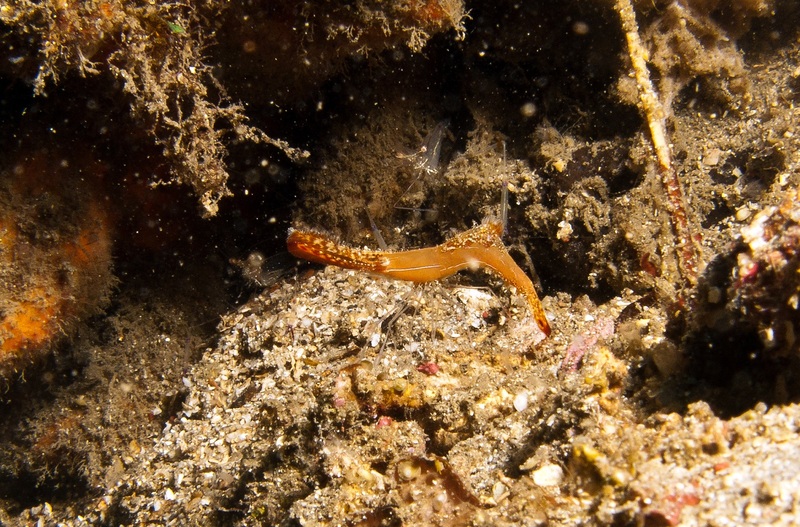 The other Palaemonid subfamily contains lots of cleaner shrimp, those fellows who can sometimes be seen entering the mouth of the dragon to feed on parasites and bits of flesh caught between jagged teeth. There's nothing to suggest that the Donald Duck Shrimp is one of these cleaners, regardless of its resemblance to a toothbrush. OK, I get that he's got a big schnozola (technical term) that could be construed as a "duck bill," but what's so Donaldy about him? I have absolutely no idea. Maybe someone is just a huge Donald Duck fan? Or didn't realise that some ducks aren't Donald? Hey, isn't that a Porcelain crab in the video? They probably don't spray enough spit around to be comparable to Daffy. And yes, looks like a Porcelain Crab in there!